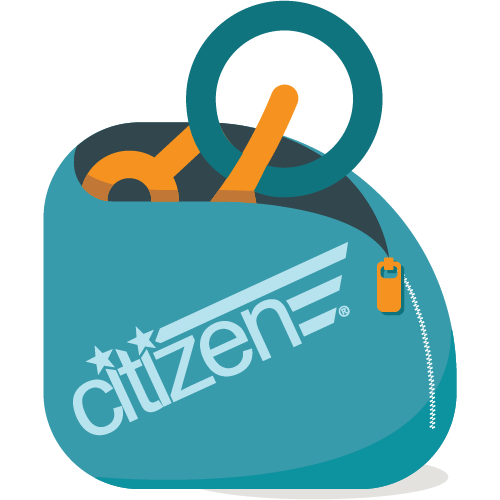 With a little practice, you should be able to fold and unfold your Citizen Bike quickly and easily. Your bike arrives in the folded position. Properly folded, your handlebars should be positioned on the outside of the frame. Your frame should be resting on the frame rest, protecting the chainwheel from the ground. 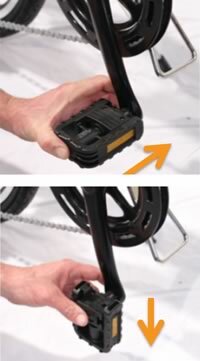 Before unfolding your frame, release any Velcro binding straps or the mechanical locking mechanism. First, swing your frame together. 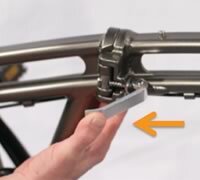 Make sure the quick release bolt snaps into the frame folding box. Tighten the quick release latch by pressing down the lever firmly. 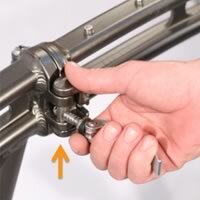 This lever should be tightened horizontally as pictured to avoid interfering with your legs while pedaling. 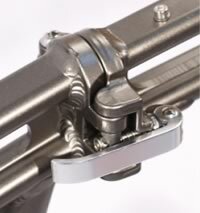 You can adjust the tension on the quick release levers by loosening or tightening the lever mechanism itself. Swing handlebar post up to vertical. 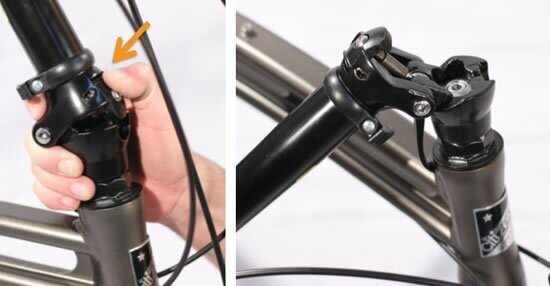 To avoid damaging your folding bike, make sure not to stretch or tangle the cables. Tangled cables may cause braking and shifting issues. Lift the locking lever to the vertical position, securing the release button into the locked position. Push the locking hook into the locked position to secure the locking lever. 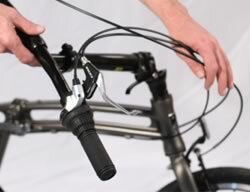 Raise handlebars to an appropriate height and tighten the quick release lever to lock in place. Do not raise the handlebar beyond the maximum extension safety line. Tightening the handlebar extension beyond the maximum extension could damage your handlebars, which may cause you to lose control and fall. 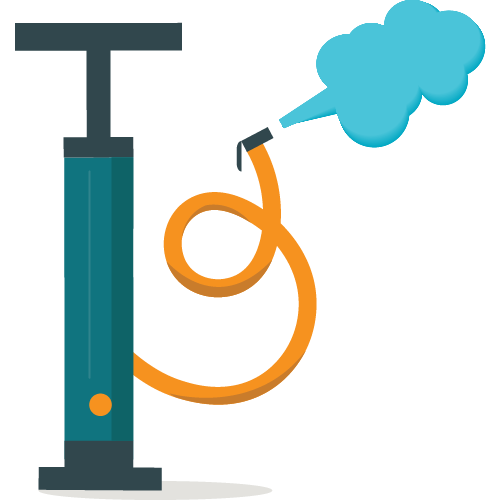 Please note, you can adjust the tension on the quick release levers by loosening or tightening the lever mechanism itself. Do not overtighten. 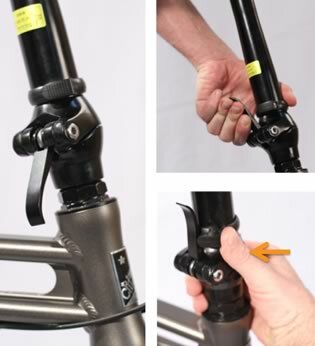 Release quick release lever to adjust seat post height. 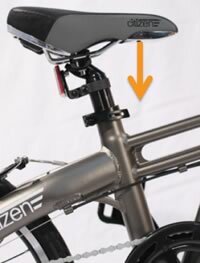 Raise the seat post to a comfortable height and tighten the quick release lever to lock in place. Adjust the tension on the quick release, if necessary. Do not raise the seatpost beyond the safety line. 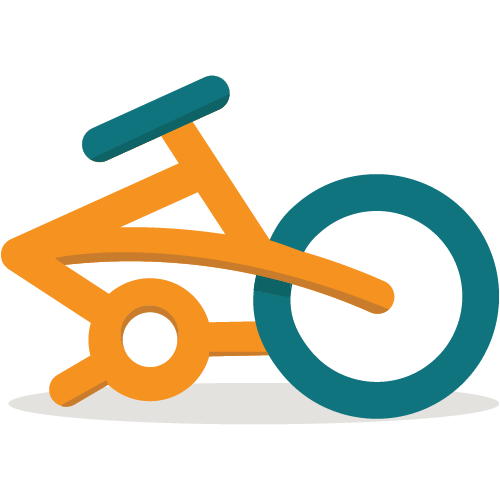 Before you ride make sure that the seat and seatpost are securely fastened so they won't slip. To unfold the pedals, lift the pedal step upward. Keep fingers clear of the pedal step interior to avoid serious injury. Make sure that both pedals are securely locked into place before riding. 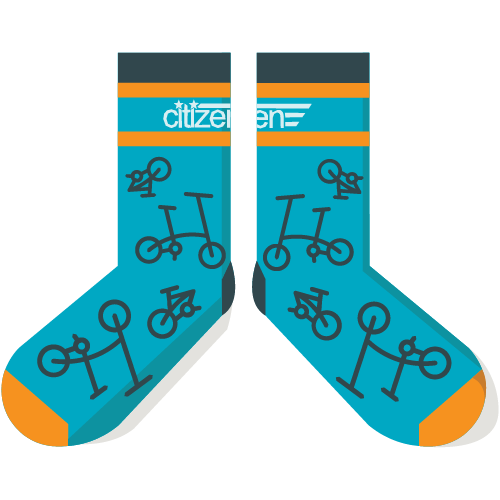 Your Citizen Bike is ready to ride! 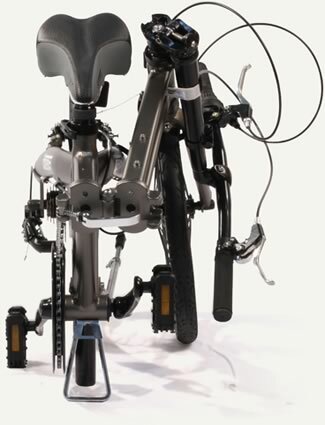 To fold the pedals, push the pedal end toward the bicycle axle then flip the pedal platform down. Pushing the pedal in will release the pedal from the locked position. Please make sure to keep your fingers clear of pedal platform interior to avoid injury. 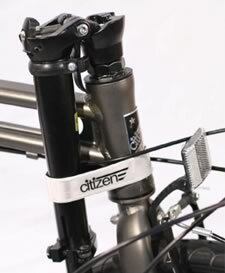 Release the seatpost height adjustment quick release. Lower the seatpost and lock back into position. 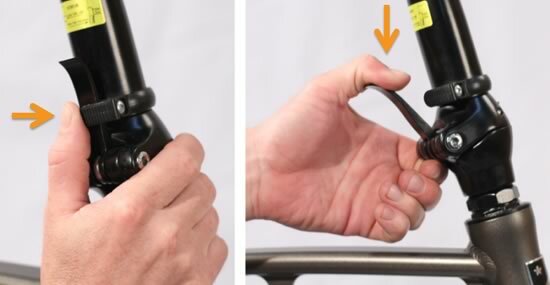 To fold your handlebars, first release the locking hook. Next, lower the locking lever completely. Next, firmly press the wedge release button to unlock the handlebar stem wedge. 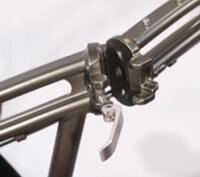 Once released, fold the handlebar stem to the side of the bike. 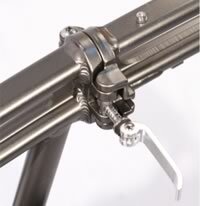 The frame folding quick release is attached to a vertical locking pin for safety. To unfold the frame, position the unlocked frame quick release perpendicular to the bike frame. 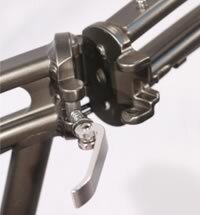 While the quick release is perpendicular to the frame, push up the lever to release the vertical locking pin from the frame. The frame lock will release and open. Swing frame into folded position. 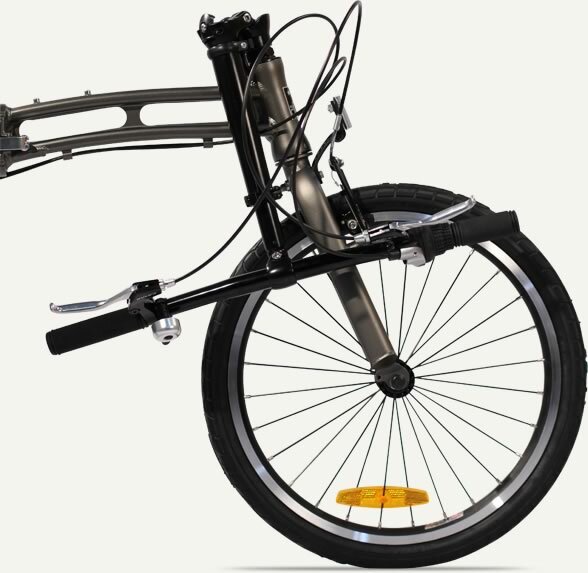 Depending on your model, Velcro binding straps may be included with your folding bicycle. These straps are designed to secure your bike in the folded position. 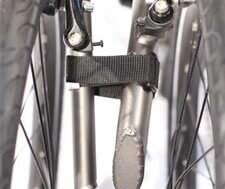 A strap can be used to secure the folded handlebars to the bicycle frame. If your bicycle does not have a mechanical locking mechanism, a strap can be used to bind the two halves of the bike when folded. 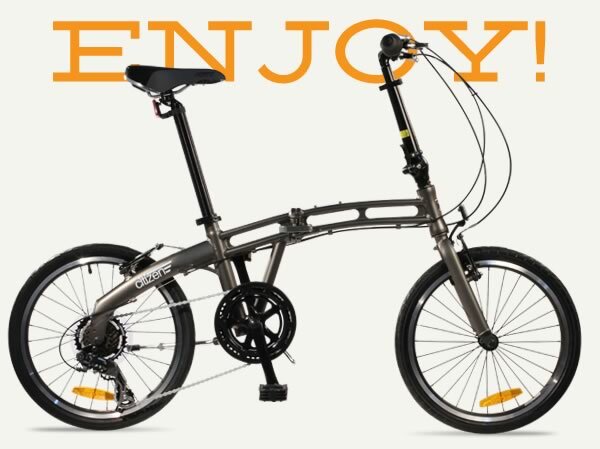 If you'd like to carry the bicycle in the folded position outside of the carrying case, you can use the Velcro straps or mechanical locking mechanism to secure the bike in the folded position. Your bike is now folded.